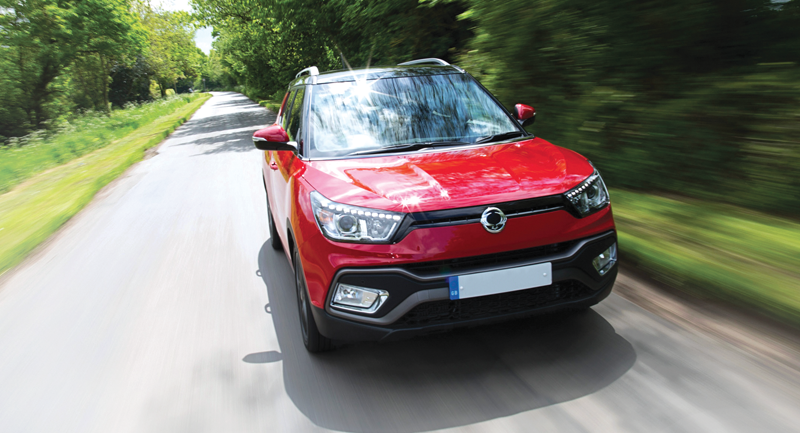 When asked to Road test the new Ssangyong Tivoli XLV I was very intrigued to see what this SUV had to offer. The Tivoli XLV is a great looking car. It is bold and chunky with 18” alloys, giving it an unusual but very distinctive style. With starting prices of just £18,750, the model I was test driving was the 1.6 diesel auto 4×4. Opening the driver’s door with the keyless entry system, I was pleasantly surprised at how luxurious the interior was. It has a real modern look and feel; heated leather seats in the front and back to warm you up on those cold and winter days. There is plenty of space for both driver and rear passengers. The boot space is an impressive 720L; enough space for two sets of golf clubs, a pram and shopping, it’s THAT big!